Plum Pretty Sugar's all about Valentine’s Day or Galentine’s Day any way you look at it. It’s a celebration of love and that’s pretty cool. They wanted our readers to know about their Valentine’s Day Giveback Program to help women in need. In an effort to provide support and raise awareness to victims of domestic violence, Plum Pretty Sugar will provide one of their popular floral robes (known around Wedding Chicks as bridal robes and bridesmaid robes) for each and every order placed between now and February 14, 2019 to women affected by relationship abuse. They’re supporting, Knock Out Abuse West and Haven Hills Women’s Shelter and hope to gift as many women in need as possible. Q: What do you have planned for Plum Pretty Sugar this year? A: 2019 marks the brand’s ten year anniversary. When I started the business the bridesmaid robe, bridal robe and bridesmaid pajama category was non-existent, this year we intend to move the trend forward again. You’ll also see newness in bridesmaid dresses and floral dress styles including honeymoon dress or maternity dress options for instance. We continue to be extremely focused on quality and a continued leadership of the bridesmaid getting ready category as well as a fresh new perspective of what a bridesmaid dress is and could be. We’ll also be moving the dial in terms of environmental sustainability. So need something for you wedding? Purchase Plum Pretty Sugar bridesmaid dresses, bridal party robes, bride to be robes and bridesmaid pajamas between Feb 1 and Feb 14 and giveback to women in need! 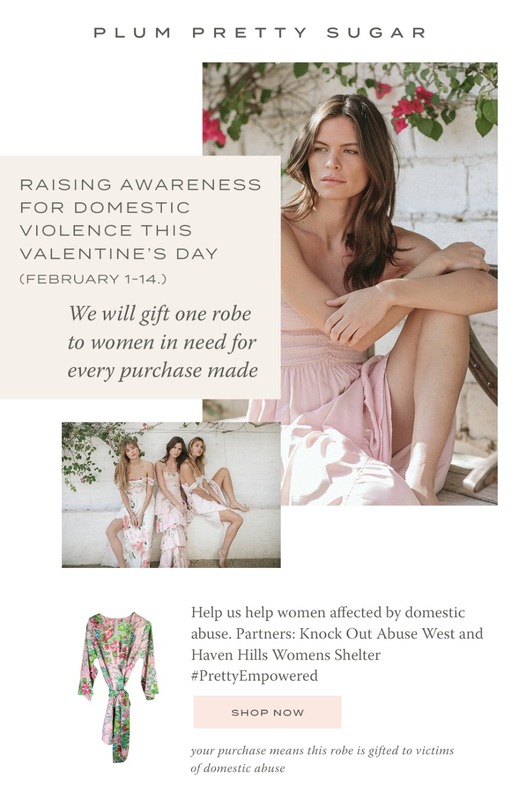 For every order placed at PlumPrettySugar.com, between February 1 and February 14, Plum Pretty Sugar will provide a floral kimono robe to our anti-domestic abuse partners, Knock Out Abuse West/Haven Hills. The goal is to gift as many as possible. 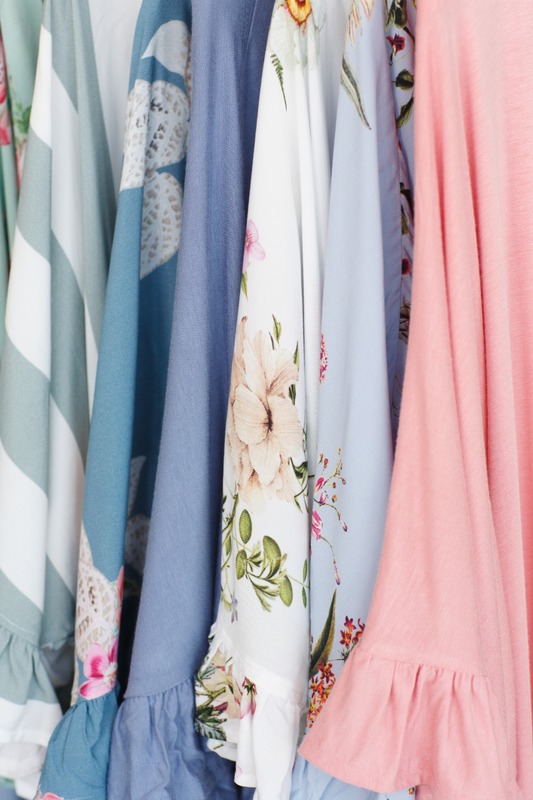 Plum Pretty Sugar is the founder and leader in the bridesmaid getting ready category and has expanded beyond wedding robes, bridesmaid rompers and bridesmaid pjs to bridesmaid dresses and versatile, beautiful apparel. For more Plum Pretty Sugar’s initiatives, here. For more about Plum Pretty Sugar’s female founder, Charlotte Hale here.